The ‘Peccavi’ wedge sandal is part of the New Season collection from Daniel Footwear. This Summer style is crafted from a premium metallic leather upper with part leather lining, classic jute trim and a comfy rubber sole. 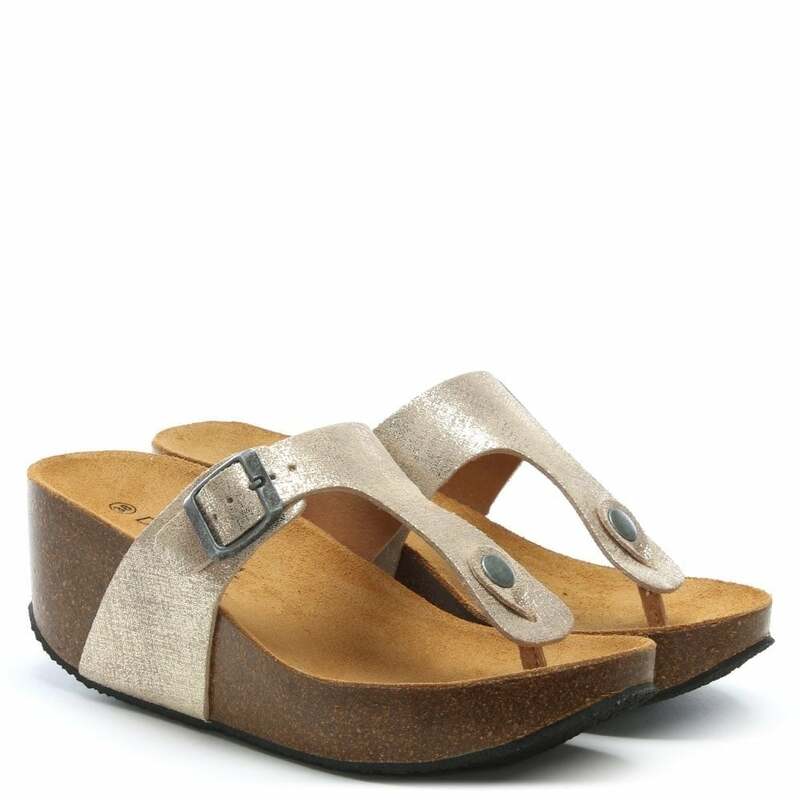 An easy to wear slip on toe post style featuring buckle fastening to the upper. Free delivery on orders over £50, otherwise £3.99. Returns are FREE. Delivery normally takes 2-5 working days from the date of dispatch. Online orders are processed the next working day. Your parcel will be delivered by Royal Mail. If we're unable to deliver an item to you, or a neighbour, your item will be returned to your local Royal Mail Delivery Office for you to collect, or to arrange a re-delivery. We offer FREE returns via Royal Mail. We want to make returns and exchanges as easy as possible for you. If you are not completely satisfied with your purchase you may return it to us via post within 28 days of receipt. For sale items, please return within 14 days for a full refund. For full details on how to download your FREE returns label and for full terms and conditions please visit Delivery & Returns. All payments are safe and all details entered are secured by an SSL certificate. This is in place to protect you. You can make payment using most credit and debit cards.